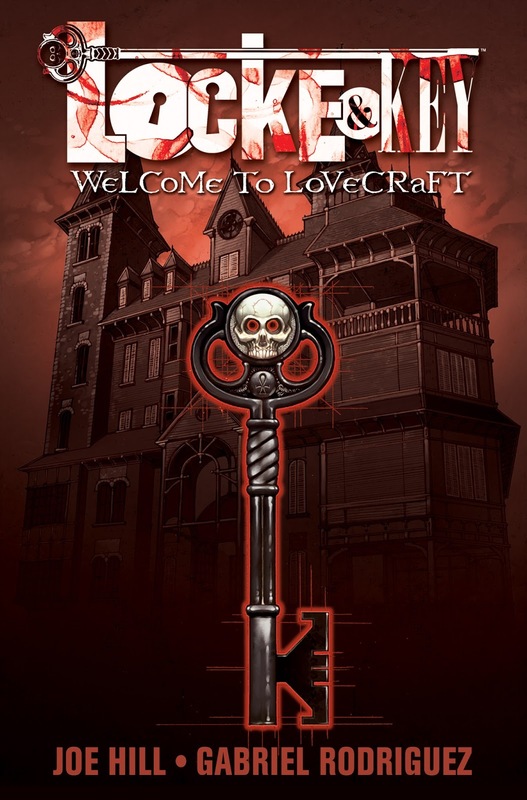 I've had the Locke & Key series on my radar for some time, as I am a huge Joe Hill fan. I think I've managed to gather the majority of the series, so now the only thing left is to give them a read, starting with Welcome to Lovecraft. 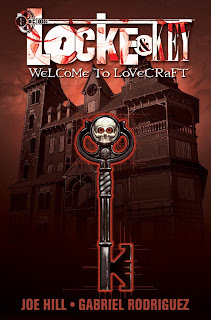 Locke & Key: Welcome to Lovecraft follows the remains of the Locke family after a disturbed student kills their father. They move in with their uncle in his New England mansion, known locally as the Keyhouse. But while they're only looking to move on with their lives, the house is filled with doors that transform those brave enough to travel through with the right key. And there is a relentless creature who will stop at nothing to gain the power over those doors. Considering that there was a lot made about the doors themselves, I was kind of expecting to see more of them. But Welcome to Lovecraft is a bit of a slower burn, which seems to be working for this volume at least. The first half alternates the focus on the kids trying to adapt to life without their dad and the traumatic events that led to their move in the first place. The slow familiarisation with the characters really works because by the time things start getting more threatening, the family has moved from generic survivors to characters whose safety I do feel genuinely concerned about. Character-wise, the three that are perhaps most important are the children. The oldest is Tyler, a former friend of the boy that killed his dad, and convinced that he is in some part responsible for the tragedy that occurred. The middle child is Kinsey, who saved her little brother at the time and is now struggling to reintegrate with her peers. Finally there is Bode, the youngest by a fair margin, who seems to be coping the best out of his siblings, but is frustrated that his encounters with the supernatural elements in the house are being written off as worrying signs of emotional instability. That's one of the things that I really like about how the supernatural stuff is written in. It kind of takes a trope that's really common with child fantasy protagonists, where the adults are useless and unwilling to believe, and makes it terrifying. I haven't seen much of the house yet, but I already know that Bode is in way over his head and that's really unsettling. It's definitely made me want to read more of the series. Since this is another comic, I guess that I should spend some time taking about the artwork. I hadn't heard of Rodriguez before now, but I would be happy to see more of his work following this. It's perhaps not the prettiest of artwork, but it's great at evoking atmosphere and character personality, so it does fit the tone of the writing really well. He really doesn't shy away from the blood and gore either, which works with this kind of horror. Sometimes horror works better without visible gore, but this is not one of those instances, so it was good to see that the visuals haven't compromised that way.